Over the past year, a number of changes to regulations, product registrations and tax have been introduced by the Chinese government that impact brands looking to export to China. This has caused some anxiety for existing brands exporting from countries such as Australia and New Zealand and for brands yet to make this leap, created a degree of uncertainty. However, that said, Chinese eCommerce is also evolving at a pace never seen before. Australian and New Zealand brands now have access to online these online channels and combined with China’s small parcel, cross border initiatives the opportunities and access have never been easier. China has overtaken the United States to become the world’s largest e-commerce market. Only several years ago in 2010, Chinese online transactions contributed only 3 per cent of Chinese private consumption. Since then, the number of online shoppers has nearly tripled, with online transactions now accounting for 9 per cent of private consumption and continuing to grow. China’s Ministry of Commerce expects the country’s cross border e-commerce trade to reach 6.5 trillion yuan (about A$1.6 trillion) this year. 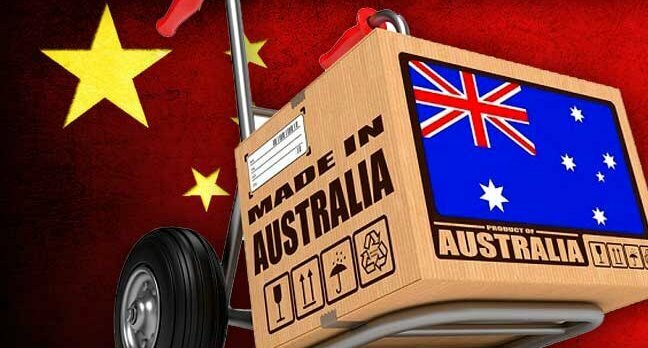 The evolution of e-commerce in China coupled with the daigou phenomena means Australian and New Zealand brands have a once in a life time opportunity to break into the Chinese market cost effectively. In recent years daigou (Chinese personal shoppers) have also become a new force in the China–Australia/New Zealand trade relationship. There are estimated 40-70,000 active daigou living just in Australia, which includes students, housewives, young professionals and tourists sending parcels from Australia and New Zealand back to China. This industry is worth more than A$1 billion, according to a conservative industry estimate. Daigou are playing an important role in helping Australian/New Zealand brands cut through in China. This army of personal shoppers has already helped a handful of Australian vitamin and baby formula companies — such as Swisse, Bellamy’s and Blackmores — grow to billion-dollar valuations. Other brands estimate daigou is responsible for a significant percentage of sales into China. Products can be personally promoted via ‘word of mouth’ to friends and families, which is undeniably an excellent marketing method – particularly in China. The motivation for Daigou is simple – to make money through buying cheap and selling high. With prices of manuka honey running as high as 1789 RMB (A$400) for a 500g jar in Shanghai, it is often much cheaper to buy products directly out of Australia or New Zealand then the difference becomes the daigou’s profit. On the Chinese buyer side, there is still deep concerns in China about the safety of products – something that was already in place when the country experienced its melamine scandal a few years ago with infant milk formula and countless news stories in China about ‘fake’ meat. Instead, Chinese consumers now just want to seek out products directly from somewhere or somebody they trust. It is these two dynamics which have lead to a daigou system representing a multi-billion dollar business around the world . Here at Digital Jungle, we are also starting to see brands in Europe and America question us on how they can also tap into this under utilised resource. It can be argued that daigou can help put innovative new products on the radar more cost effectively than any other channel. But tapping into the daigou community is no simple matter and brands need to understand that the vast majority of this group don’t buy frequently — they happen to be full time students or working throughout the week. If you want to explore this daigou channel for your own brand purpose then reach out to my team at Digital Jungle – info@digitaljungle.agency or post in the comments below. Daigou is not your Chinese market entry strategy but certainly a key aspect to a well rounded approach.